How did a small island nation end up ruling a quarter of the world's population? Filmed on location in former British colonies, this documentary series charts the rise of the British Empire and the source of conflicts that still reverberate today. Written and presented by BBC broadcast journalist Jeremy Paxman, based on his book Empire: What Ruling the World Did to the British. 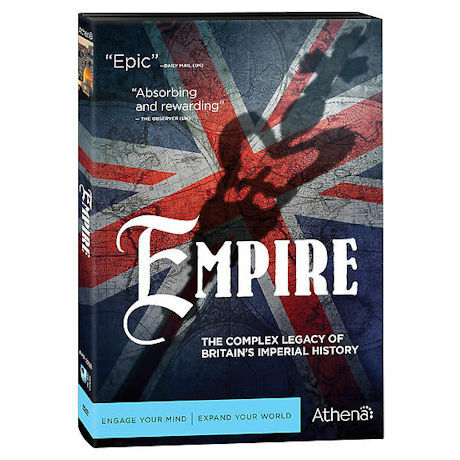 Empire includes 5 episodes, 2 DVDs, SDH, viewer's guide. From Athena.